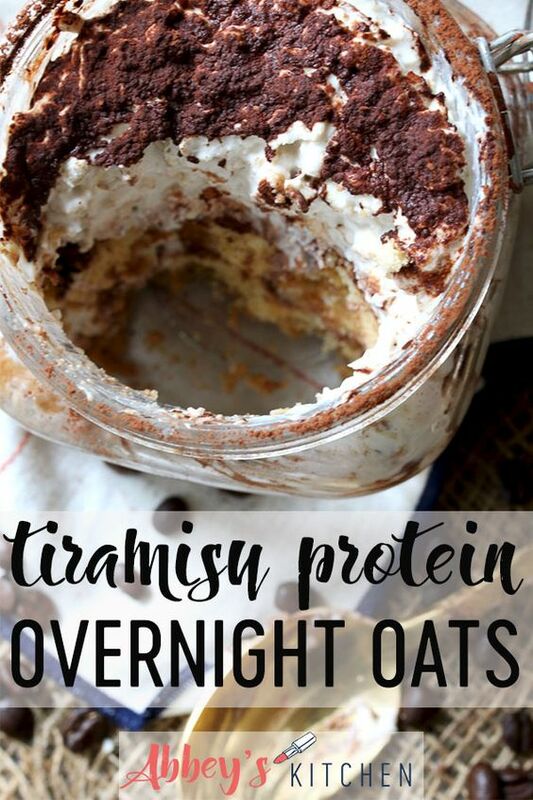 These Tiramisu Protein Overnight Oats are one of my favourite healthy make ahead breakfast recipes for busy mornings when I'm craving something sweet. In a bowl, combine the oats, almond milk, mascarpone, pureed cottage cheese and maple syrup, to taste. Let sit in the fridge overnight. The next morning, quickly dip the lady fingers in the coffee and layer half of them into the bottom of of some mason jars. Add a dusting of cocoa and a layer of the overnight oats. Repeat with another layer of the cookies, cocoa and oats, and finish with cocoa powder. Enjoy cold or at room temperature.